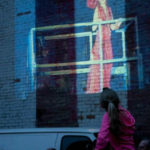 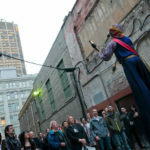 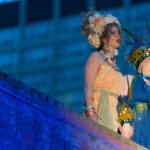 Mercury Opera gleefully messes with the public’s perception of what opera entails, and presents a unique installation in what is typically a secluded and mysterious place in today’s urban landscape, a back alley. 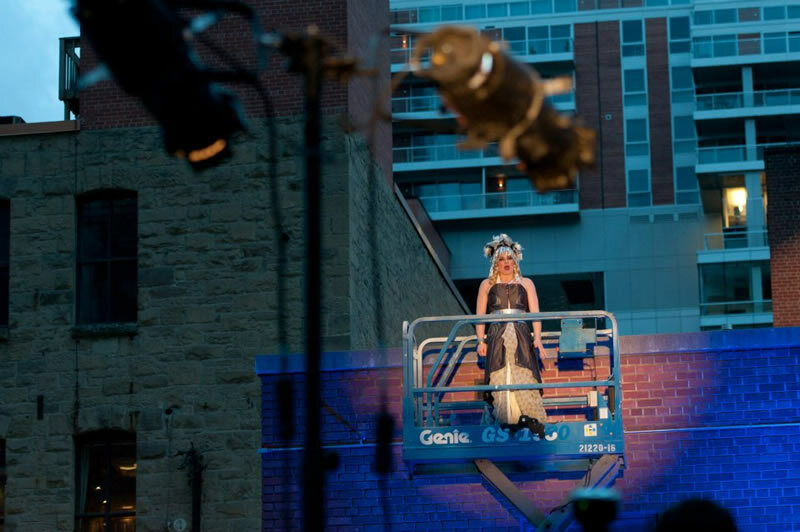 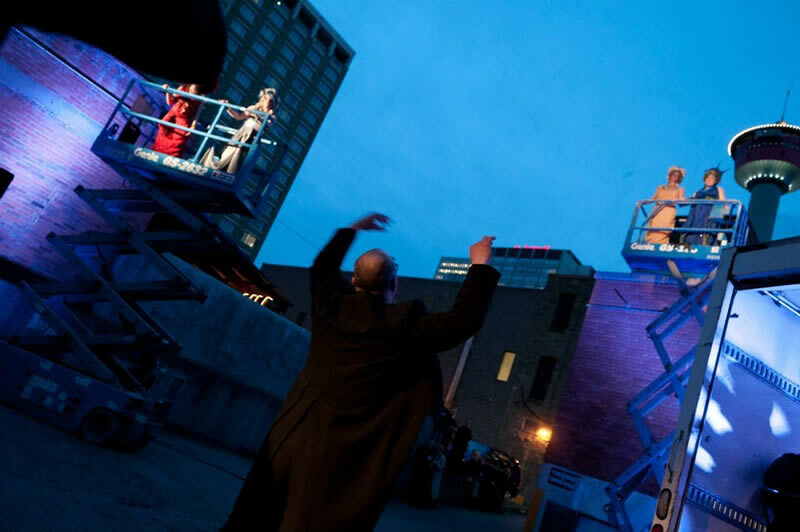 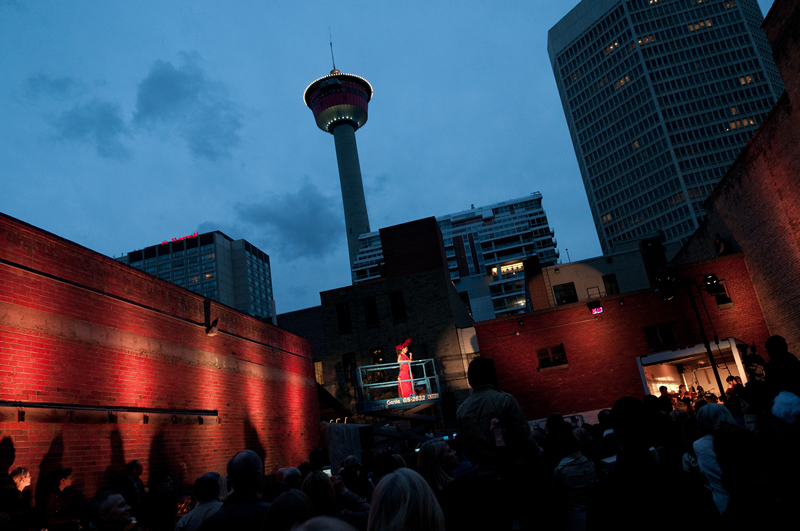 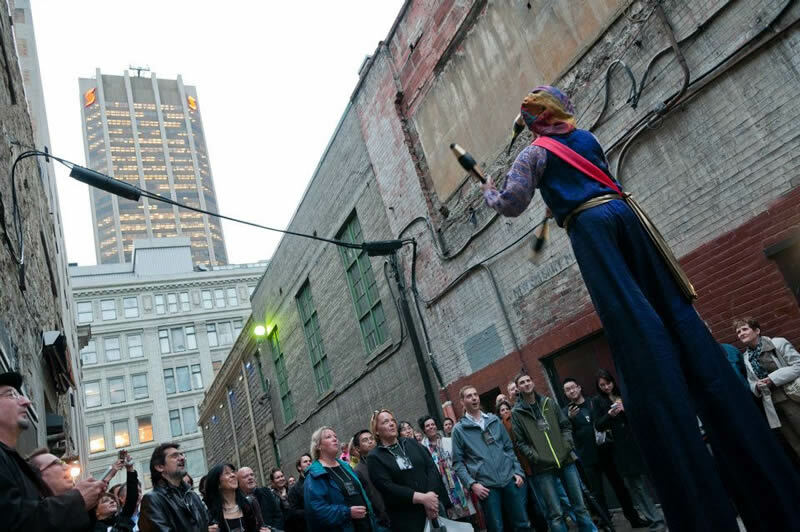 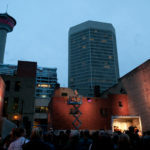 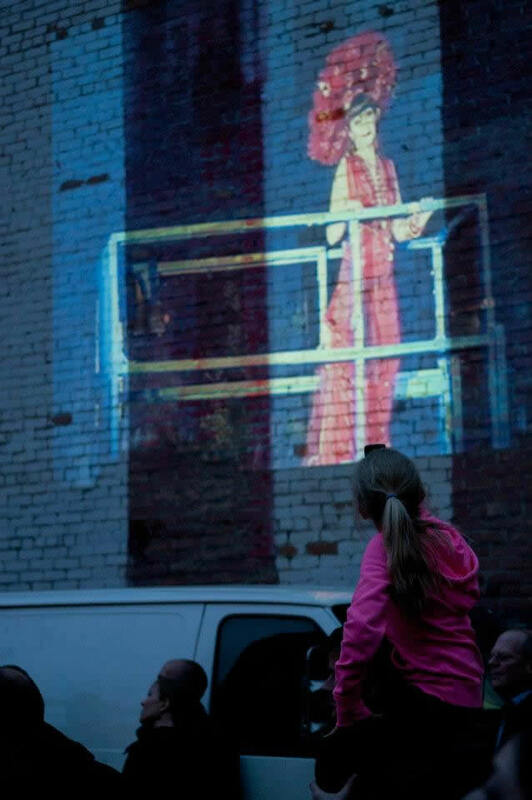 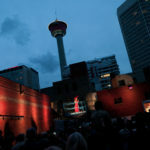 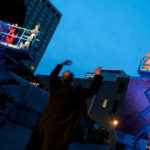 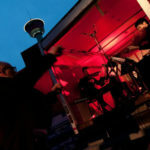 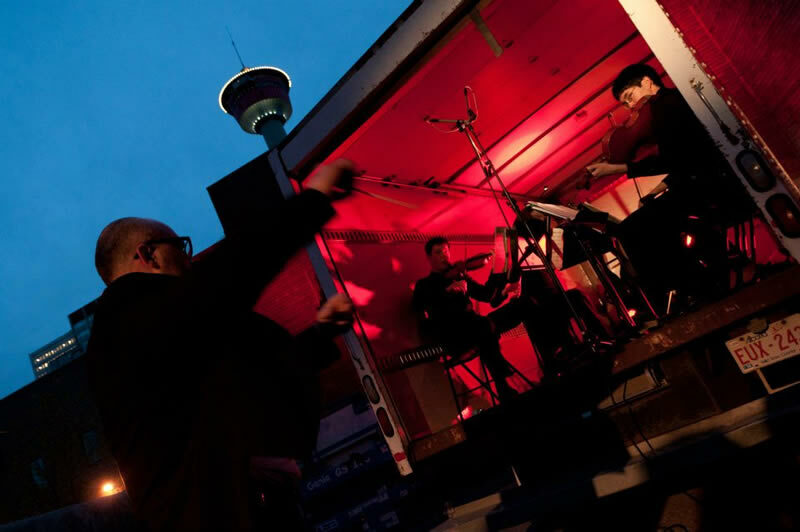 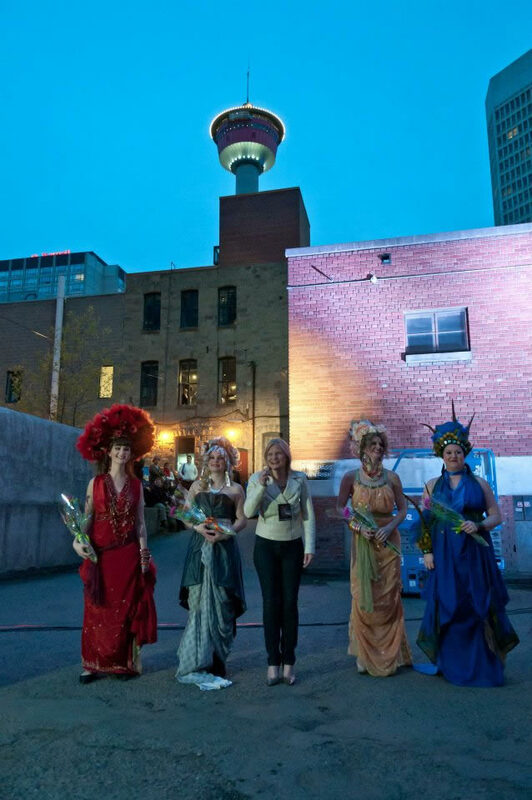 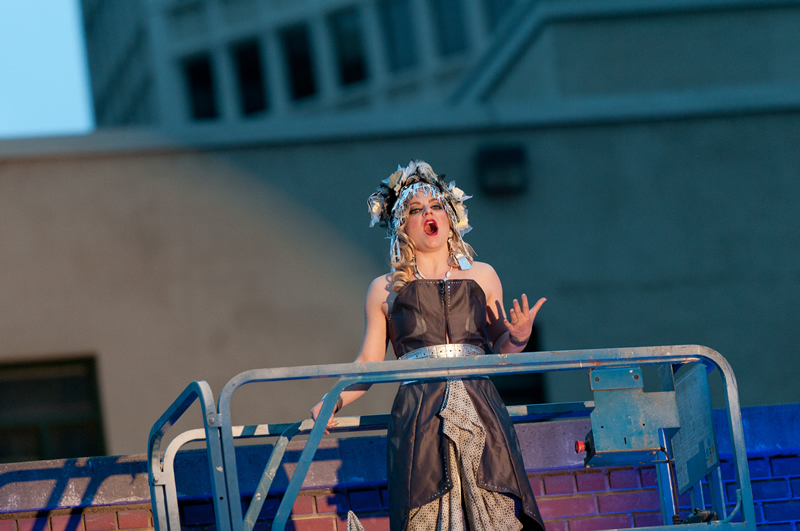 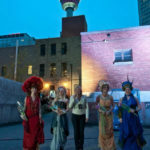 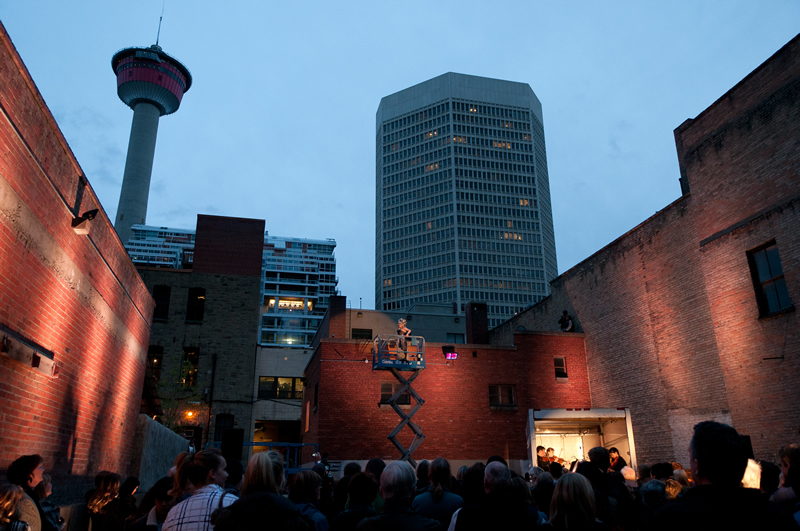 Alley Oop staged in Downtown Calgary is a performance of opera’s beloved classics sung by a quartet of sopranos, accompanied by Calgary-based string quartet, Volante. 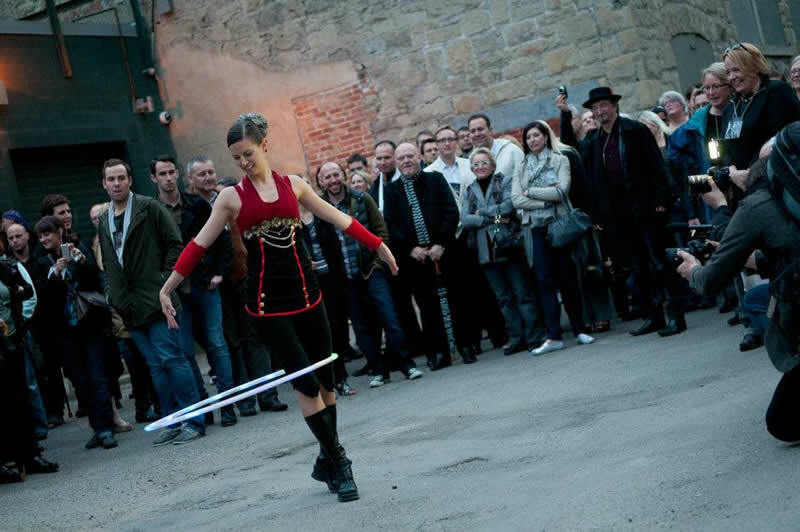 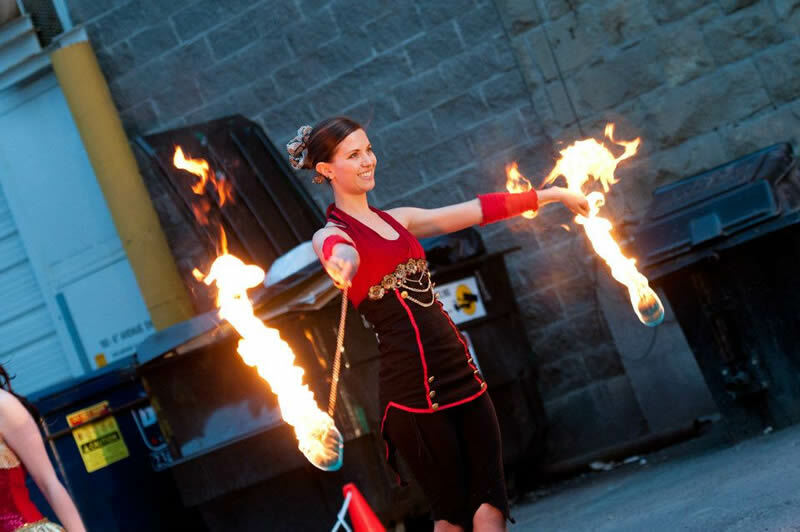 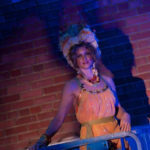 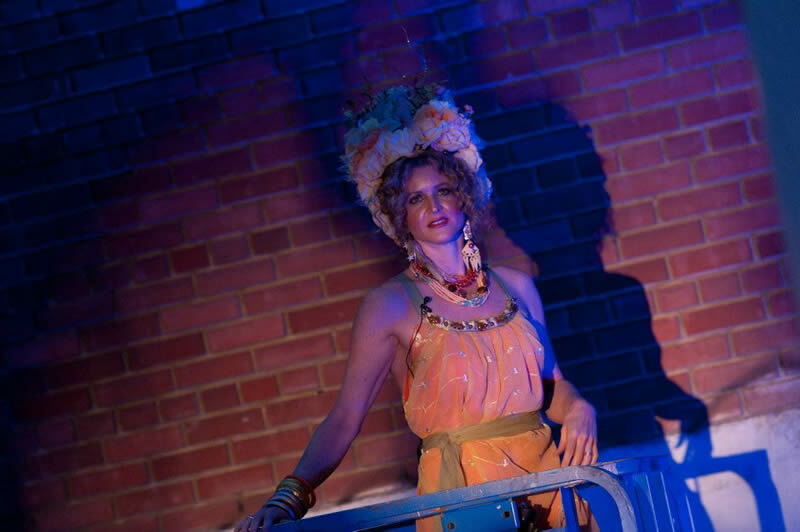 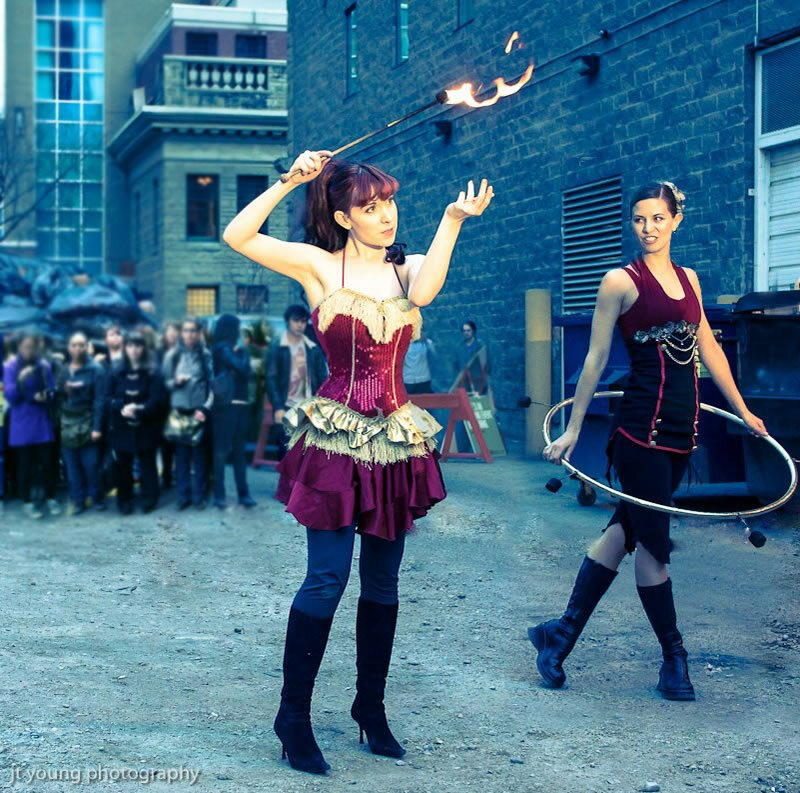 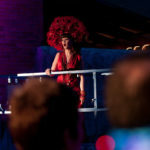 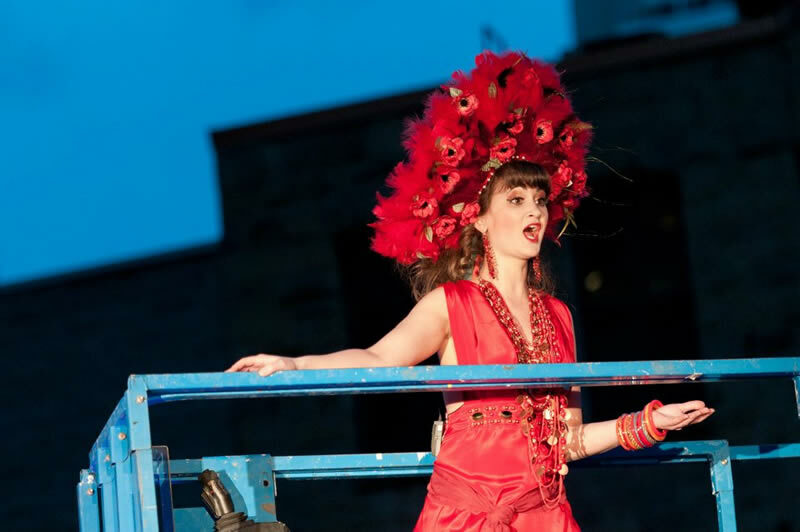 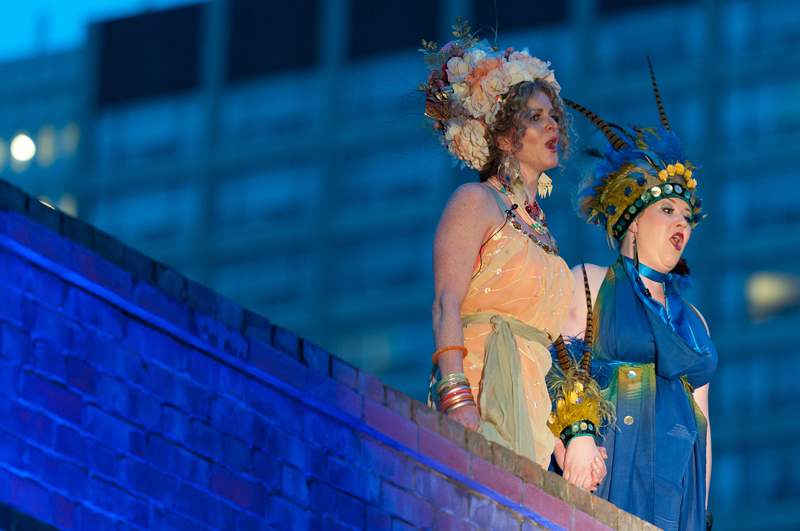 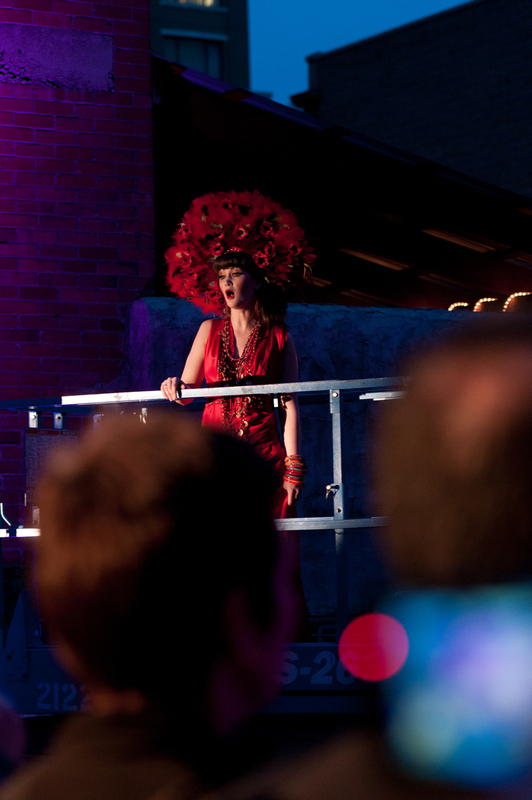 The contrast between the exposed brick and fire escapes with the sopranos adorned in their stunning costumes alongside a stilt walker and SaFire Dance, presents a breathtaking spectacle for the eyes and ears.